↑ Brooks, D. "Starry Night". 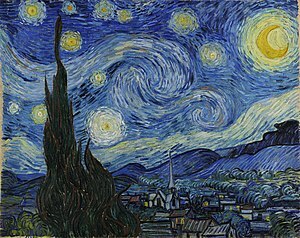 The Vincent van Gogh Gallery, endorsed by Van Gogh Museum, Amsterdam. David Brooks (self-published). Retrieved 19 February 2012. • "Vincent and the Doctor"